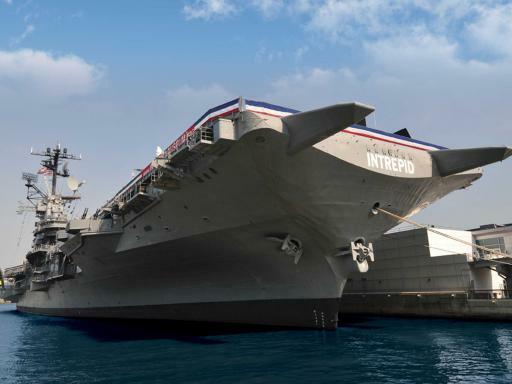 Intrepid Sea, Air & Space Museum is an exciting interactive museum which offers adventures for all ages to learn about American innovation and bravery. 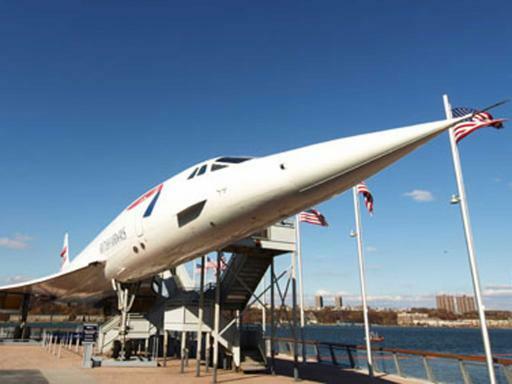 With its unique and varied aircraft collection you will have the chance to see the world’s fastest jet and spy plane, Lockheed A-12 Blackbird, and the British Airways Concorde, the fastest commercial aircraft to ever cross the Atlantic Ocean! 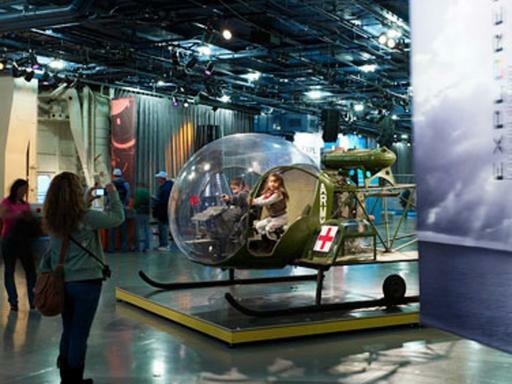 Inspiring our youth, the Intrepid Sea, Air & Space Museum promotes the awareness and understanding of history, science and service through its outstanding collections and exhibitions. As you explore this fascinating museum you will be able to view historic video footage, examine original artefacts, and explore interactive exhibits. Launched in 1943, the former aircraft carrier USS Intrepid fought in World War II, surviving five kamikaze attacks and one torpedo strike. The ship later served in the Cold War and the Vietnam War. Intrepid also served as a NASA recovery vessel in the 1960s. It was decommissioned in 1974, and today is berthed on the Hudson River as the centerpiece of the Intrepid Sea, Air & Space Museum. 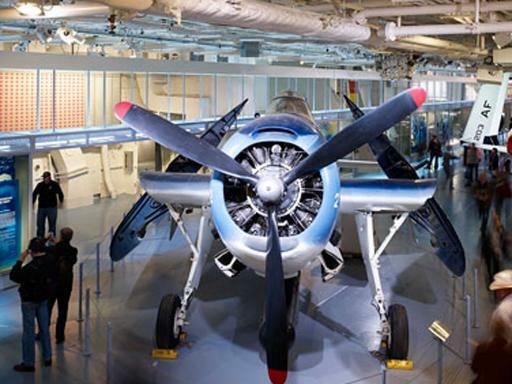 The Hangar Deck is the main exhibit space and a great place to start your visit, taking you through both the hardware and humanity of Intrepid. 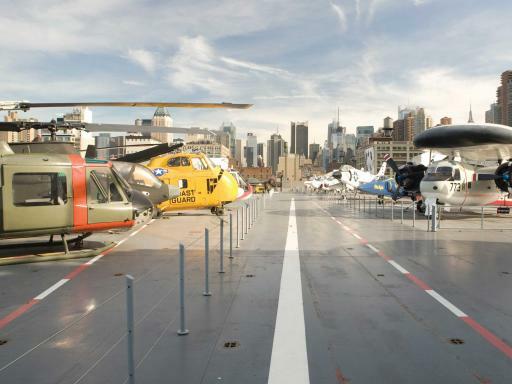 On the Flight Deck, you will be able to get an up-close look at more than two dozen authentically restored aircraft, look inside the Restoration Tent, and take a walk through history on Intrepid's island and bridges. The Gallery Deck, located between the flight deck and hangar deck, features the combat information center (CIC), squadron ready room and marine berthing. You can learn about life onboard the Intrepid on the third deck which was home to the mess, or dining area, and the crew berthing. This area has been restored to its original appearance. 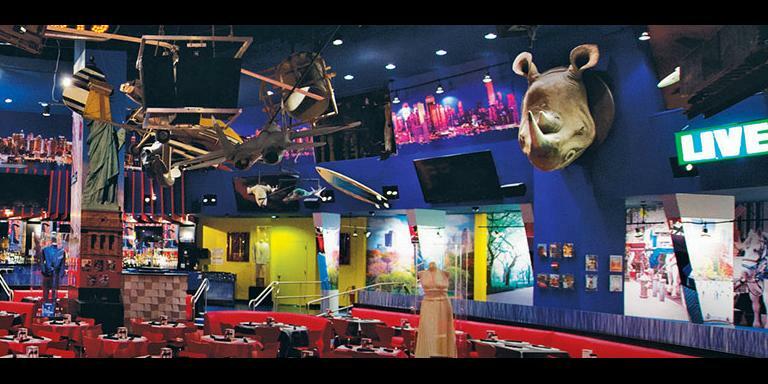 The vibrant décor—complete with custom paint colors, colorful textiles and Western-themed props—is unique to Intrepid. 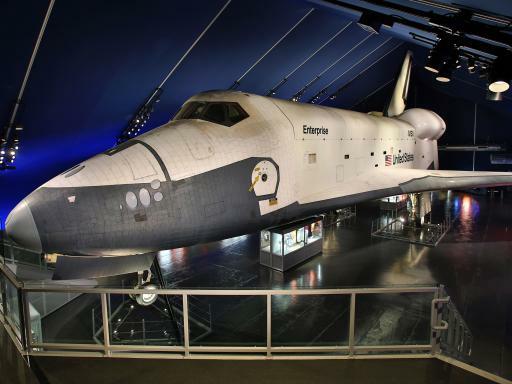 Visit the Space Shuttle Pavilion as it showcases the space shuttle ‘Enterprise’. Learn about this revolution in science through the 17 dynamic exhibit zones featuring films, photographs, and original artefacts. Feel like you have travelled back in time as you walk through the pavilion and hear the actual conversations between mission control and Enterprise pilots during the original flight tests. 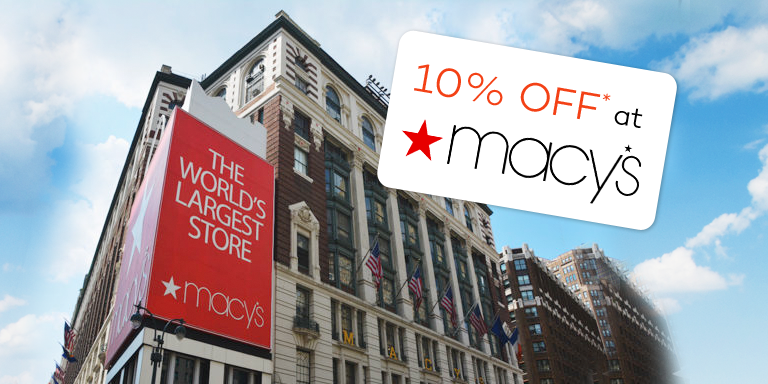 With so much to see and do at this incredible museum, we know you will love it! Ever wondered what it was like to fly a supersonic jet plane? 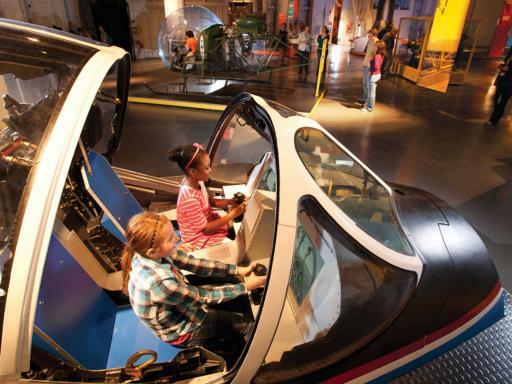 Well, at the Intrepid Sea, Air & Space Museum you can, as the GForce Encounter simulator allows you to take to the cockpit and fly your very own aircraft with 360 degrees of movement. 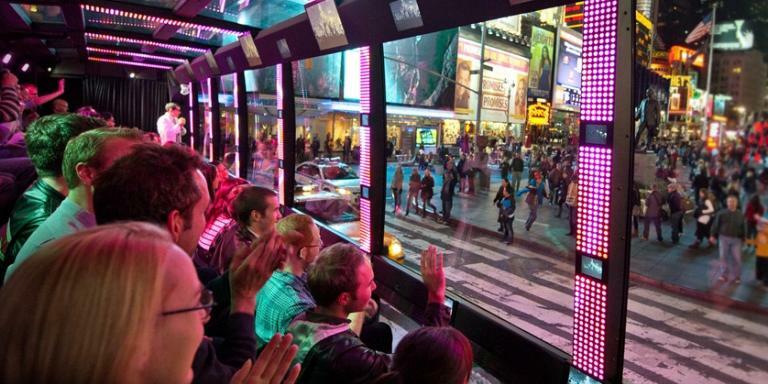 You can also ride the Transporter FX simulator or immerse yourself in the 4d Motion Ride Theatre, where you will transcend time, space and imagination. Departure Location: The Intrepid Sea, Air & Space Museum is located at Pier 86, One Intrepid Square, 12th Avenue & 46th Street. Duration: Allow at least 2 hours for your visit. 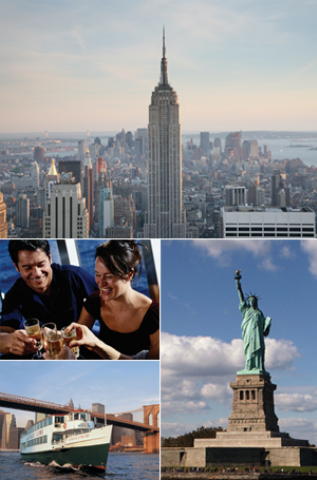 Start Times: The Intrepid Sea, Air & Space Museum is open 10.00am-5.00pm. Really good for the young and old . Fab! Loads to do. See Concorde. Go to the top of the Aircraft Carrier. 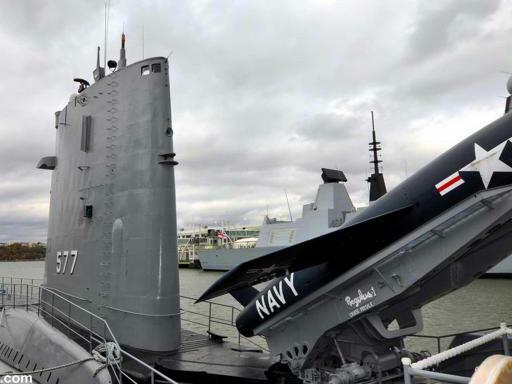 Go inside a submarine. Great visit spent ages there. Cafe was ok hot and cold food etc. Children aged 4 and under enter free of charge. Flight simulators GForce Encounter, XD Theater and Transporter Fx are payable locally at $9 per ride or you can purchase a 3-Ride Combo Pass for $24.00. 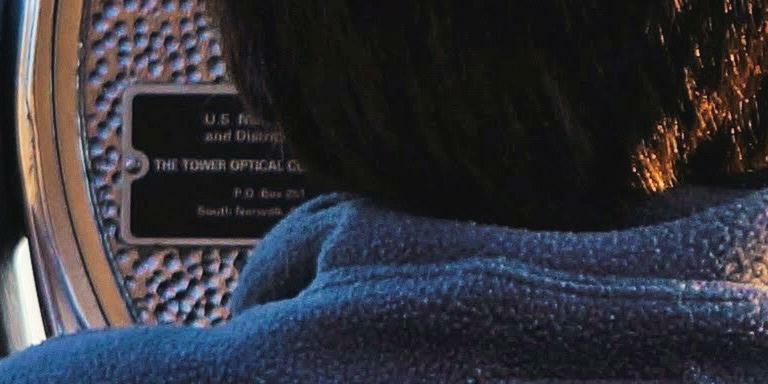 Photo I.D is required to collect your tickets. How long will it take me to view all of the exhibits? Please allow around 2-3 hours for the full Intrepid Experience.